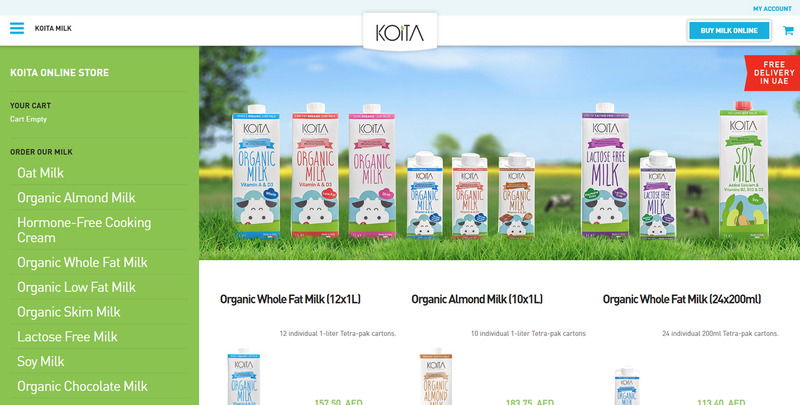 A delicious new online store developed for one of the most successful milk import startups in Dubai‎, UAE. 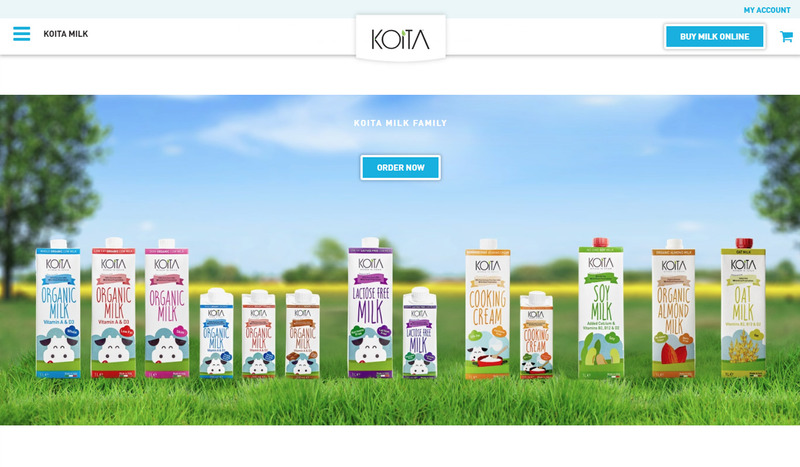 Koita Milk is a unique story. 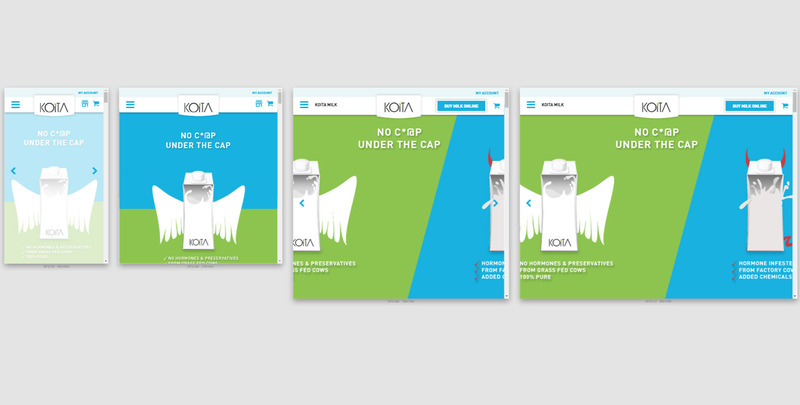 A father realizes how difficult is to find fresh, healthy and affordable cow milk for his family in Dubai, so he travels to Europe looking for the best testing milk, which, without surprise, is found in Italy. 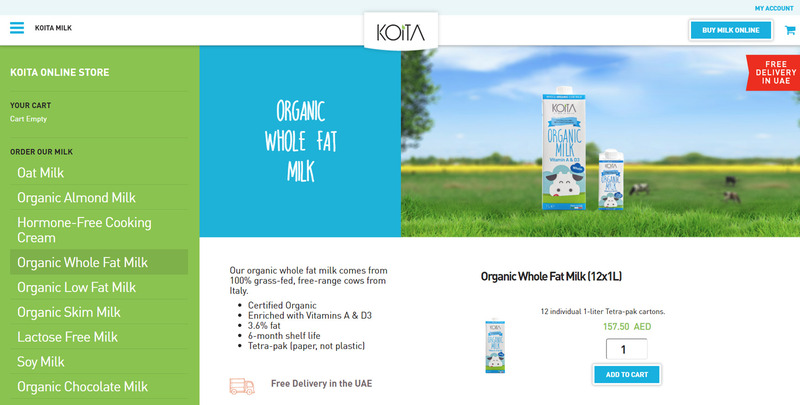 From there, the milk is then package and delivered to Dubai. 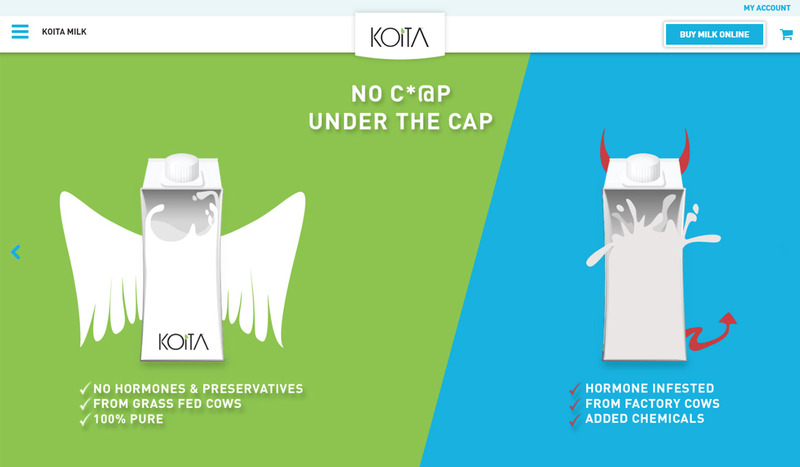 After several years, the Koita brand has grown to be one of the most recognizable fresh milk products in supermarkets, stores and online. 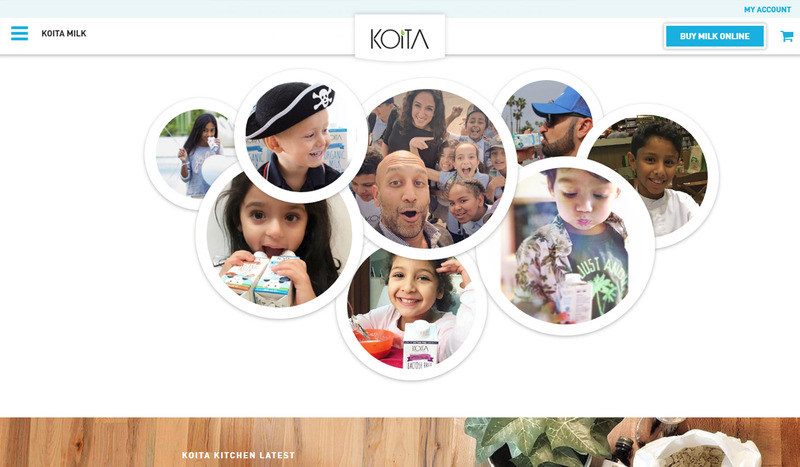 Our job now was to convey that awesome story through a new online store combining Koita’s love for good milk, happiness from being healthy and the energy and passion of its founder. 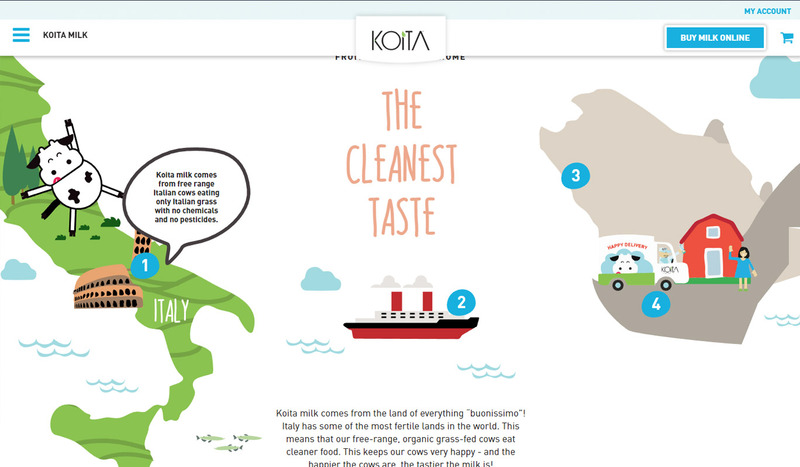 We created the illustrations to convey the Koita story and build brand recognition. 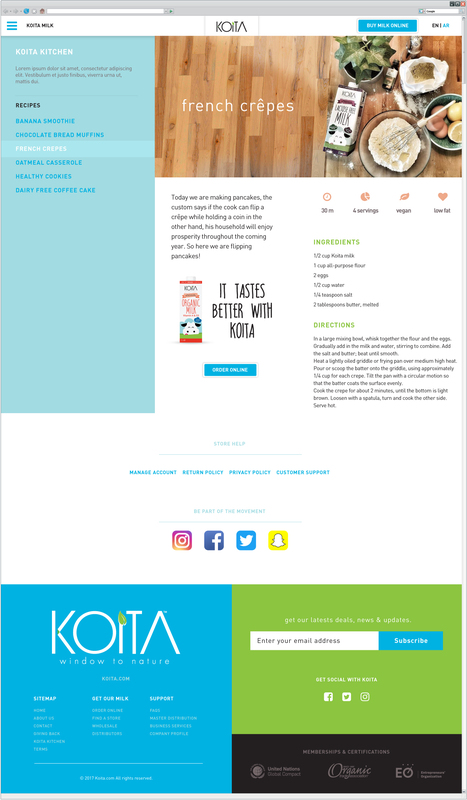 We keep getting great reviews and comments on how nice, easy to use and happy our new site is. 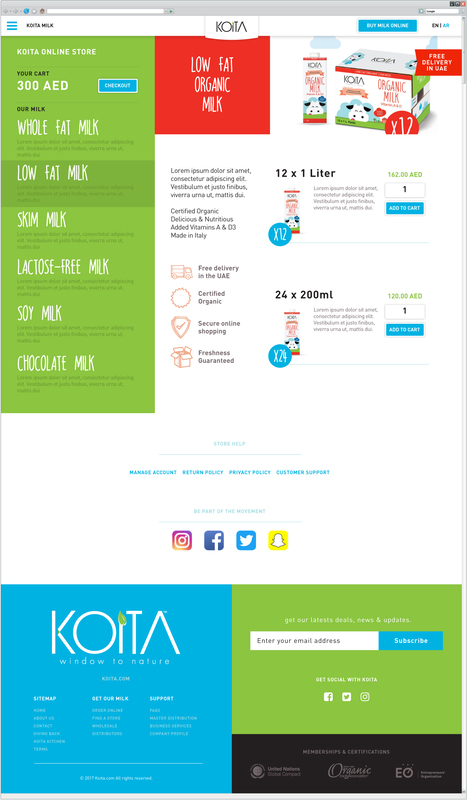 Our sales are up, our social media is growing and our milk is selling. 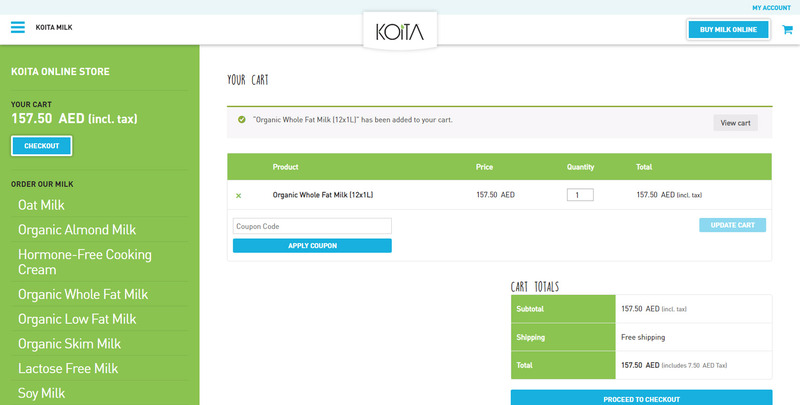 We are Koita happy.